If you planned to go to the beach this summer, you gonna need this bag! You always bring a few things to spend time on the beach: towel, book, sunglasses and sunscreen at least. 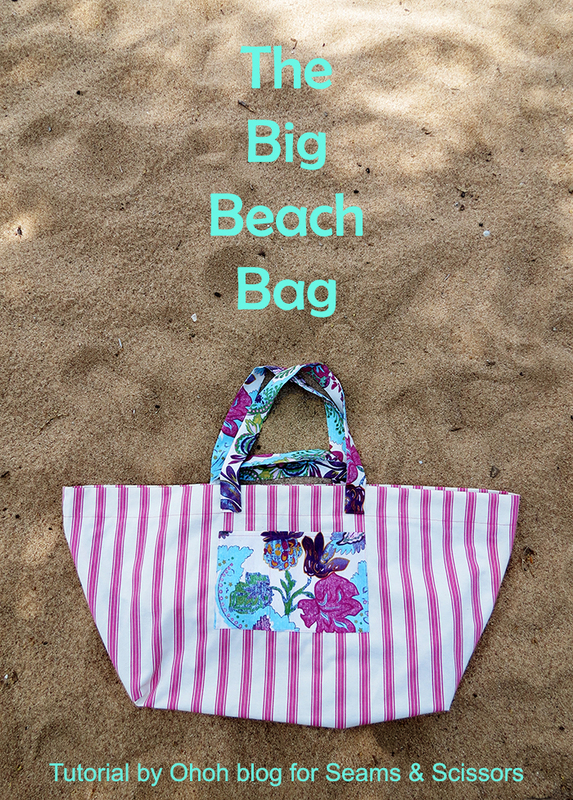 And if you have kids, the thing get out of control: toys, water wings, clothes, snacks, drinks, more towels…..So here is the solution: The big beach bag. I made this useful bag for Seam and Scissors, you will find the detail tutorial over there! Thank you Shabana for modeling with your fashion flip flops!